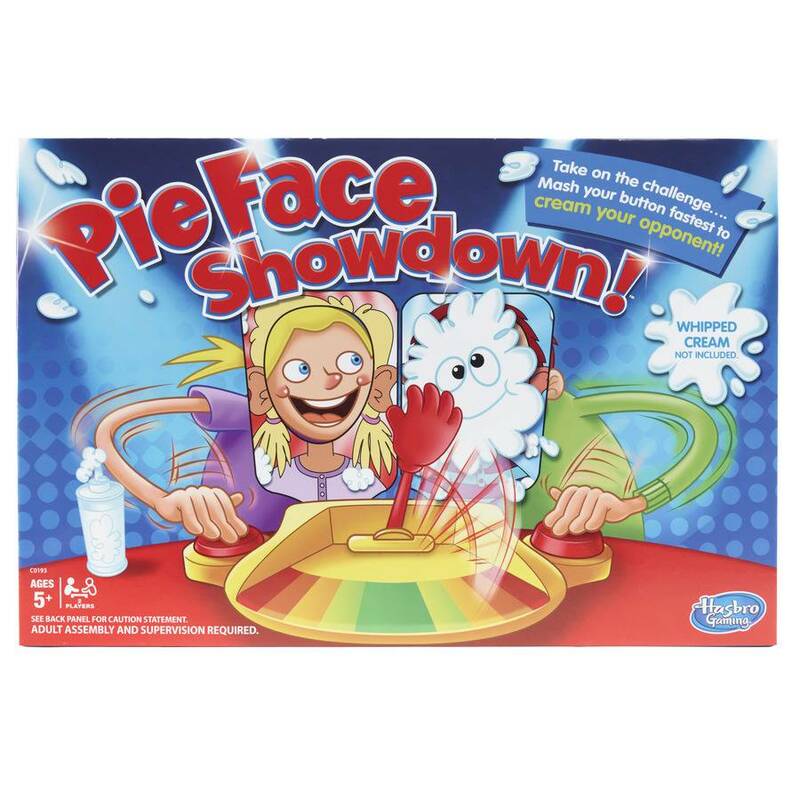 The Pie Face game is now a hilarious head-to-head race! Players load the arm with whipped cream (whipped cream not included) or the included sponge, then place their chin on one of the chin rests. 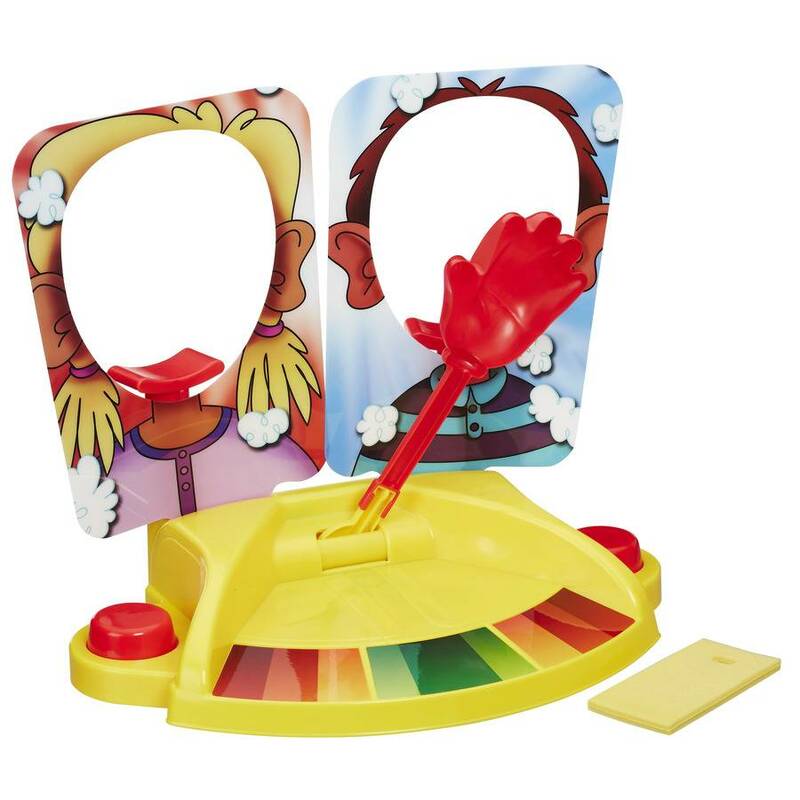 On the count of three, players hit the big red button closest to them to try to move the pie throwing arm towards their opponent. When the arm gets too close, it’ll spring up, and someone will get a face full of whipped cream! The other player wins. (Whipped cream not included).